SCVHistory.com HB1801 | Canyon Country | Mail Delivery in the Snow, 1-4-1974. 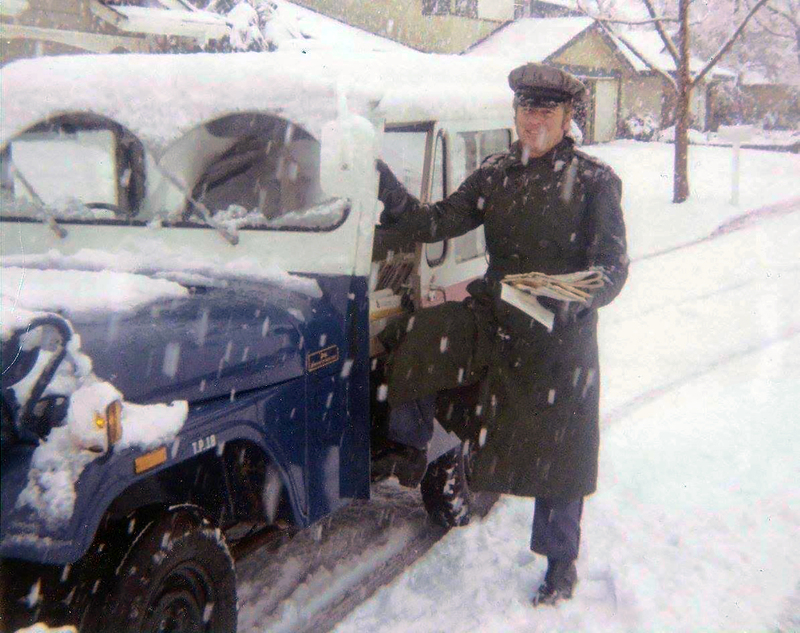 January 4, 1974 — Charles Kenneth Stahl Jr. delivers mail (probably in Canyon Country) on the second day of a two-day snowfall. Stahl (4/19/1934 - 1/14/2008), a Saugus resident, was the only local carrier to complete his route that day, according to his son, Geoffrey Alan Stahl. HB1801: 9600 dpi jpeg courtesy of Geoffrey Alan Stahl. Online only.